Flooding can affect different geographic areas in varying ways. In Central Illinois, flooding can be defined as anything from “a little too much rain” to “up to your knees in water.” It’s important to know how to stay safe for the best or worst case scenario. That said, the following are tips from varying reliable sources on how to prepare for and stay safe during a flood. Know how to shut off the electricity and gas to your house in a flood event. Make a list of emergency numbers and identify a safe place to go make a household inventory, especially of basement contents. Put insurance policies, valuable papers, medicine, etc. in a safe and accessible place. Collect and put cleaning supplies, camera, waterproof boots, important documents, etc. in a handy place. Talk with your family about what to do if a flood watch or warning is issued. Discussing floods ahead of time helps reduce fear, especially for younger children. Find out if you are located in a floodplain, which is considered a Special Flood Hazard Area. If so, you are still eligible for flood insurance. If you live in a floodplain, elevate and reinforce your home to make damage less likely during a flood. Install check valves in plumbing to prevent water backups. Construct barriers such as levees, berms, and floodwalls. Seal walls in basements with waterproofing compounds. Use sandbags when flooding is expected. Weather Radio also provides emergency alerts. Turn off the power and water mains if instructed to do so. Boil tap water until any boil order is lifted. Flood water may be contaminated by a number of things - avoid contact with it and avoid food that has come into contact with the water. Stay tuned in to radio stations for updates. Don’t use flooded gas or electrical appliances. If told to evacuate, do so immediately. If it’s too late, do not walk, swim, or drive through flood waters. Go on the roof only if necessary. Once there, signal for help. These tips will keep you and your loved ones safe in case of a flood. If you have any other questions do some research or contact your local safety teams for more answers. 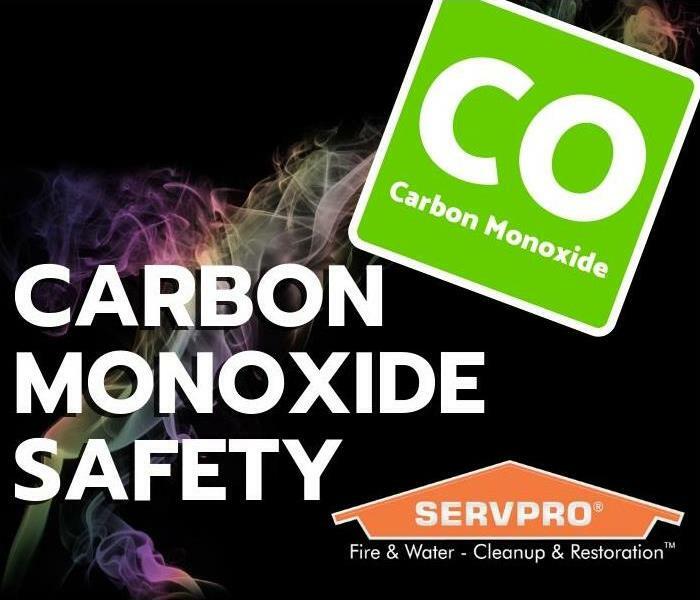 Carbon Monoxide is easy to produce and hard to detect, which is why the majority of victims are caught off guard or even in their sleep by the effects. Proper ventilation or not, this gas can build up and poison humans, pets, and any other living thing in the vicinity. Of course, the people most at risk when Carbon Monoxide are infants, the elderly, and people with pre-existing health issues (heart disease, breathing complications, etc.). Schedule yearly professional servicing for heating systems, water heaters, and any other gas or coal-burning appliances. Never use a generator inside your home, basement or garage or less than 20 feet from any window, door or vent. The gas can build to dangerous levels and cause sickness or death, and ventilation can still fall short of protecting you. Keep chimnies and fireplaces clean and in proper working order, especially gas-powered fireplaces. Ventilation for gas-powered appliances is key and never use a gas stove to heat your home. Don’t run vehicles in closed garages. Even with all of these precautions, safety can still fall short. When it does, watch for signs of Carbon Monoxide poisoning. Poisoning starts with headache, fatigue, shortness of breath, nausea, and dizziness. As it gets worse victims will face mental confusion, vomiting, loss of muscular coordination, loss of consciousness, and even death. Protect yourself and your loved ones. Know how to avoid buildup of Carbon Monoxide gas and know the side effects of poisoning. An emergency is no time to be learning safety techniques; especially when that emergency is a fire. They spread quickly and before you know it they’re out of control. 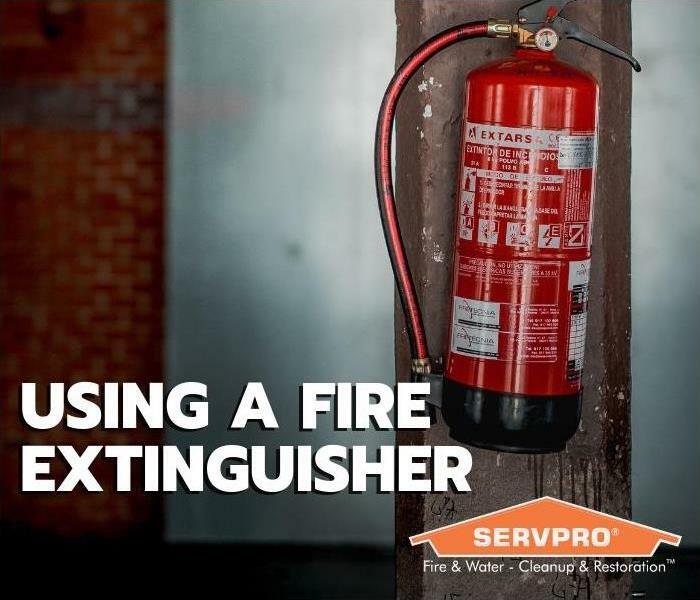 If you and your loved ones learn how to properly use a fire extinguisher prior to a fire, you could increase the chances of a speedy response and reduce the amount of damage or injury. OSHA (Occupational Safety and Health Administration) has a couple of informational pages on their website dedicated to this topic, but we would like to share some of the information with people who follow us. In case of a fire, sound the fire alarm. If needed, call the fire department. Safety plans should be in place so that you can quickly identify a safe evacuation path; somewhere that won’t allow the fire, heat, or smoke to block the exit. Before a fire happens, the appropriate type of fire extinguisher should have been bought and placed somewhere where it can be quickly grabbed and used. It is always possible for a fire to flame up again after it has been extinguished, so once the initial flames have been put out back away to avoid being caught by a second blaze. Along these lines, if the extinguisher is empty and the fire is not out, evacuate the premises immediately of any people or animals. Once evacuated, contact fire officials if you haven’t already and wait for them to arrive at the scene. When it comes to using a fire extinguisher, there is an easy way to remember exactly what to do. OSHA says you should just remember to P.A.S.S. Pull - Pull the pin. This will also break the tamper seal. Aim - Aim low, pointing the extinguisher nozzle (or its horn or hose) at the base of the fire. Squeeze - Squeeze the handle to release the extinguishing agent. Sweep - Sweep from side to side at the base of the fire until it appears to be out. Watch the area. If the fire re-ignites, repeat steps 2 - 4. These steps will make it easy for adults and children to remember what to do in case of a fire. Just remember that while it is possible for you to contain and extinguish a fire, it is important to know when to get out of a situation to keep yourself safe. Items are replaceable. People are not. 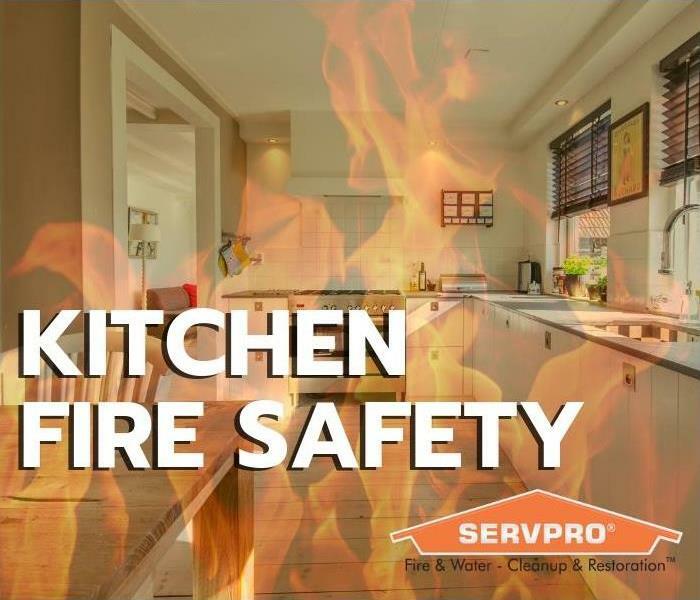 If you have a fire and need cleanup from the flames or from extinguisher mess, you can contact SERVPRO® of Galesburg and Macomb at 309-342-0073. 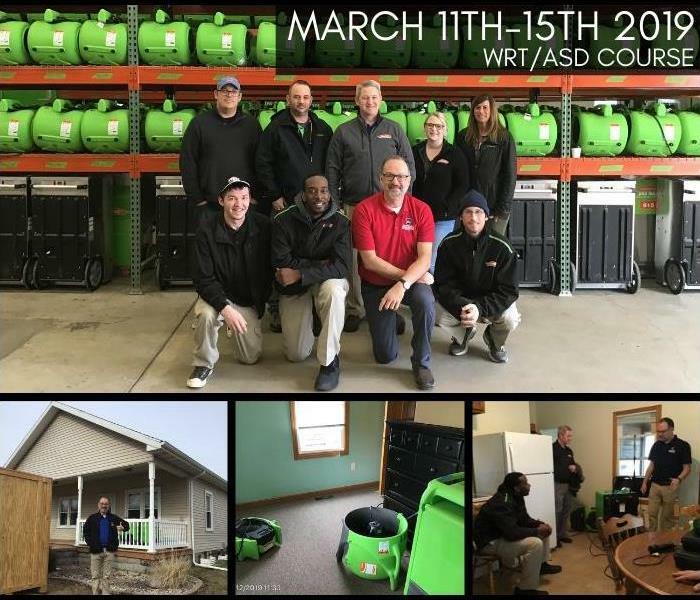 March has been an interesting month here at SERVPRO® of Galesburg and Macomb. The fluctuating weather has made for some unexpected work and the spring sunshine makes the days feel so much more upbeat. For our newer employees and our employees who want to keep up on their certifications, there was an IICRC WTR/ASD course for them to take. While this course is offered to the public for any insurance professionals or restoration workers to attend, this particular five-day course was an educational experience for our techs and for our office personnel who attended. The course, taught by Kevin Fisher, covered the basics and some more advanced information about water restoration and applied structural drying. The water restoration and drying sections combined to cover information relating to water extraction, safety hazards on water jobs, water classifications and categories, the equipment used for identifying and for drying water, and so much more. Because of the detail and depth of the course, it is much easier for our employees to relate to the information to the work they experience every day. As mentioned earlier, new employees take the course to gain their WRT/ASD Certification, and current employees take the course to renew that certification every year or so. However, the techs and other job site teams aren’t the only people who take the course. The people in our offices take them as well. While this may seem strange from an outside perspective, it’s actually an important move. This ensures that not only will the people on the job know what’s happening during water damage, it means that the people behind the scenes will have a clearer idea of the process as well. Our goal is to make sure that our franchise as a whole is the best and most knowledgeable available to the community, and the IICRC courses help to make that possible. That being said, if you are looking for a team that can be everything you need them to be whether they’re drying your property or pushing paperwork, you can feel secure in choosing SERVPRO. In the office or out in the field, we’re Here to Help®. If you would like some information on our IICRC Training Course Schedule, please contact SERVPRO® of Galesburg and Macomb at 309-342-0073. 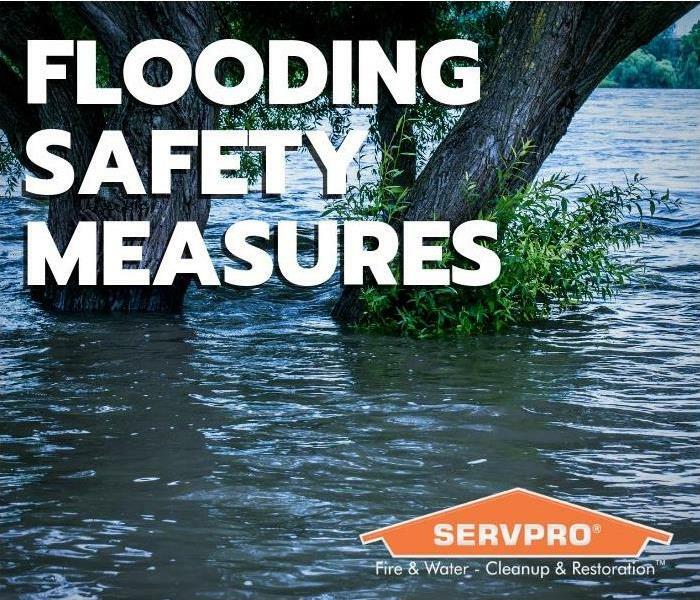 We here at SERVPRO® like to make sure that our commercial clients know that we’re not just here for common water or fire damage cleanup and restoration. We’re here for the big losses as well; in those times where it feels like you might not ever get your business cleaned up and back in working order. 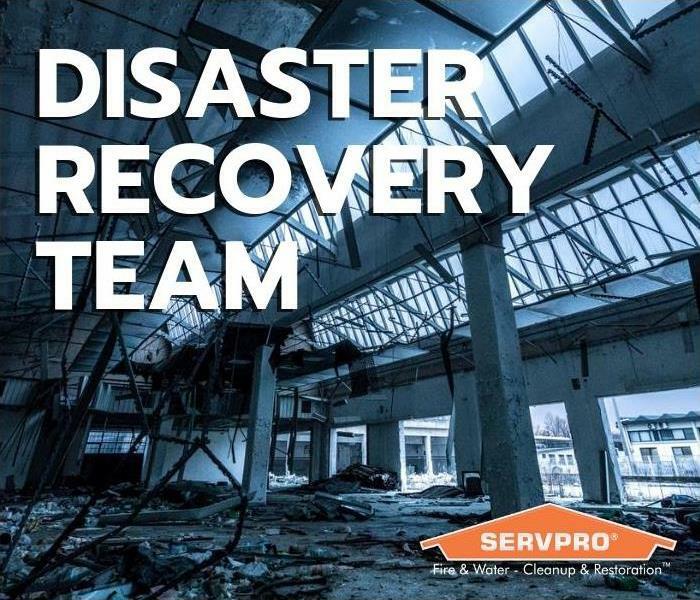 When something strikes that was far beyond your control, that is precisely the time when you should call and get the SERVPRO® Disaster Recovery Team on the job. Our Disaster Recovery Team comes in like a wave of help after a catastrophe. Teams are equipped with the training and knowledge to do the job right, the tools best suited to help, and with the empathy and understanding to make the process easier for those suffering. SERVPRO® heroes and teams are prepared to get in and get the large loss job done. Large losses are supervised by a commercial operations manager to help ensure seamless communication and timely mitigation. However, the real difference between us and disaster teams from other companies is our ability to dispatch trained production professionals and cut costs through the strategic placement and oversight of temporary labor. It also helps that we offer our services to any businesses that fall into our Commercial Large Loss program. These include the hospitality industry, property managers, universities, municipalities, and government buildings like the Pentagon. What are teams are best known for is their response times and their abilities during catastrophic storm events. Disaster Recovery Teams can provide help to communities and individuals dealing with tornadoes, hurricanes, blizzards, and floods. The SERVPRO® System has a network of strategically positioned storm teams on standby should a disaster, and they’re available and prepared 24 hours a day and 365 days a year. The advantage is that teams are not just comprised of your local SERVPRO Franchises. In times of great trouble, Franchises can call upon other Franchises from all over the state or country. This is because as a company, SERVPRO® has the ability to mobilize local command centers, along with the resources of more than 1,700 Franchises nationwide. In a more local response, our Illinois teams were called in the Central Illinois area for events like the tornadoes that hit Washington, IL in and the floods that hit Galesburg, IL in 2013. The purpose of our Disaster Response Teams is to help with the cleanup and restoration of property and to relieve stress and aid the recovery of lives and communities. So if your community is rocked by a catastrophe, don’t be surprised when you see our big, green trucks on the scene. No disaster is too big. If you are faced with damages that require help from our response teams, contact SERVPRO® of Galesburg and Macomb at 309-342-0073. Spring break season is upon us. While the point of the many vacations is to relax and have fun, it’s important to be vigilant and stay safe. This is especially true when it comes to water fun and beachside vacation spots. To keep you safe, we want to be sure to share some Red Cross safety tips for water fun. “Don’t Drink and Dive” - Nearly 70% of water-related deaths among teens and adults involve alcohol. Many of those injuries occur after diving and other foolish stunts. Alcohol affects your judgment and coordination and when boosted with high temperatures and hot sun there could be some terrible consequences. Make sure you drink plenty of water to stay hydrated and keep your drinking time and swimming time separated. “Buddy up” - Pools and parks may be supervised, but sometimes things and people can slip through the cracks. Never go anywhere without a friend and never let your kids swim without a buddy. If you or someone you know is not a strong swimmer, whether they’re a child or an adult make sure that the “arms-reach” buddy system is in place along with other precautions like floaties or other life-preserving tools. “Enroll before you go” - Take a Red Cross First Aid/CPR/AED class. Be ready for the unexpected so if something does happen you can take care of the situation before it gets worse. “Pack tools, not toys” - While foam pool noodles and floaties can be helpful, there’s nothing that will protect better than actual lifejackets. These can be found and purchased at many stores including sporting goods stores. If for you are unable to purchase one of these flotation devices yourself, make sure that Coast Guard-approved life vests are available and worn wherever you are having your water fun. “Steer clear of breath-holding games” Breath holding and hyperventilation (fast shallow breathing) games while swimming can be severely dangerous. It is really easy to lose consciousness and start sinking. Don’t risk it. Breathe normally. Hold your breath only when necessary. “If the thunder roars, get indoors” - Any outdoor water sources can be a point of electrocution. You should always exit the water and go indoors when the sky gets dark and you hear thunder. If you happen to see lightning, there is no speed fast enough to get indoors and out of harm’s way. The last thing you want to happen on any trip is to have to take a trip to the hospital. Safety should always come first, and the fun will just follow after that. For your cleaning and restoration needs, you can always contact SERVPRO® of Galesburg and Macomb at 309-342-0073. Tornadoes are not unheard of in the Central Illinois area. The tornado that hit in Washington, IL in 2013 was a tragedy for many families. Homes and properties were demolished and lives put in danger. This was a wakeup call for many Illinois residents. It is clear now how important it is to be prepared for an event like a tornado. While making sure that you have enough supplies to sustain you and your loved ones are important, it is crucial to have a place to go and wait out the worst of the storm; and what better place for that than a safe room. The walls, ceiling, and the door of the shelter must withstand wind pressure and resist penetration by windborne objects and falling debris. It is important to keep your family as safe as possible in severe weather situations. Should you decide to build a safe room for your home, there are plenty of tips and guidelines provided on the FEMA website. There are funding options for residential and commercial properties that can help create a safe spot for people to go when disaster strikes. It is important for you to follow your local weather forecasts and pay attention to weather alerts when they come out. Preparation and paying attention are the key to staying safe and happy. 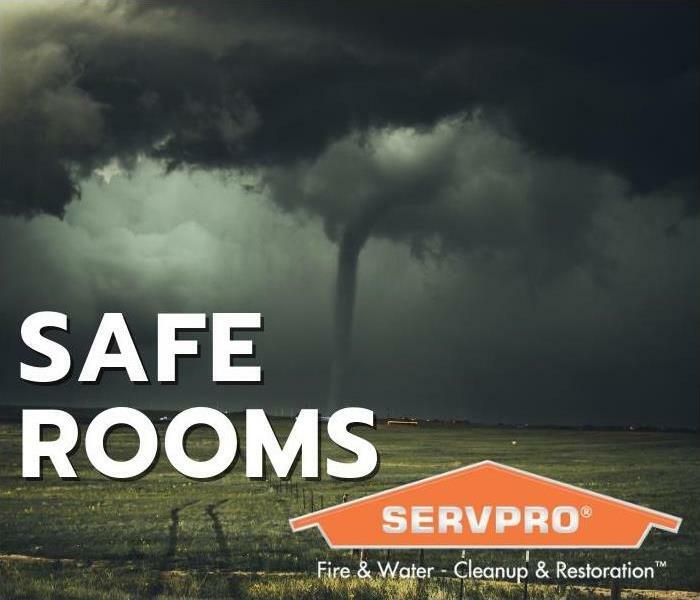 Remember – if you do experience loss due to a tornado or other severe weather in the Galesburg and Macomb area call SERVPRO® at 309-342-0073. A loss in any situation can be devastating, no matter what the cause or the setting is. When you suffer damages and loss in a residential setting, it can mean the loss of personal property like memories, clothing, family heirlooms, and more. It could easily mean the loss of the home as well, which can be a struggle for the residents. On the other hand, when commercial property and its contents are damaged it can affect the business, the employees, and other businesses associated with the damaged business. In these situations, business owners should be willing to replace what needs to be replaced and know how to go about restoring what can be restored. SERVPRO® of Galesburg and Macomb can play a big part in that restoration process. There are plenty of other high priority contents for commercial property. However, the truth is when any of these items are damaged, it can hinder a business. SERVPRO® has equipment made specifically for the restoration of the aforementioned items. Our UltraSonic Cleaning System and our Esporta Cleaning System are top of the line. We can clean soft and hard content. Electronics are as good as new and uniforms and other contents look and smell new by the time we’re done with them. A business ends up with damages from a small electrical fire. The building is in the process of being repaired, but the damage to the structure isn’t the problem. The computers, furniture, and security systems are covered in smoke/soot residue both inside and out. Before you can fully get back into working order they need to be cleaned. Not only can our team clean out your electronics without damaging the insides, but we can remove the smoke smell and stains from your furniture. You don’t have to replace your contents because they’ve been fully restored instead! We have the ability to clean your contents and the understanding of why the items are so important to you to make the transition from damage to restoration less painful. Why would you choose anyone else? 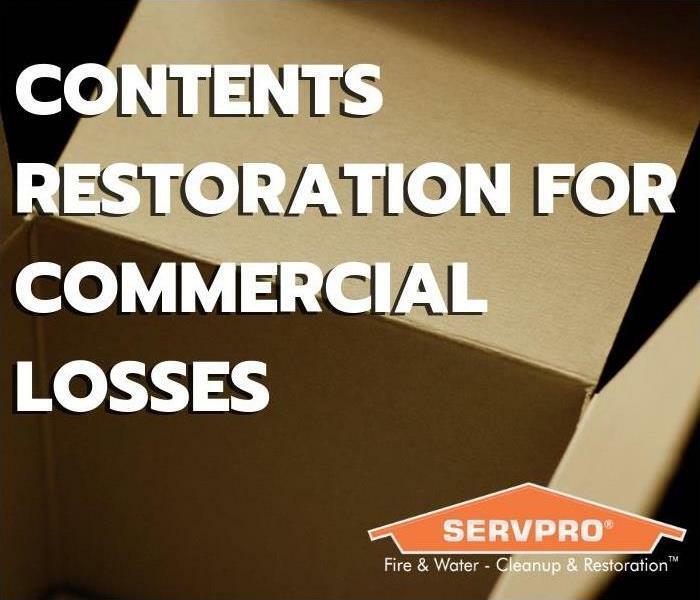 Remember, if you fall victim to commercial contents loss, you can call SERVPRO® of Galesburg and Macomb at 309-342-0073. The kitchen is one of the more dangerous rooms in both residential and commercial properties. The difference though is that commercial kitchens give special training to the people who will be working within them. Residential kitchens are left in the hands of both adults and children, raising the risk for injuries and other accidents. The following is a set of tips provided by the NFPA to help lower the chances of accidents that will cause fires or severe burns. Be alert. Do not attempt to cook if you are tired or under the influence of medicine, drugs, or alcohol. Keep anything flammable away from the stovetop. Keep the stovetop, oven, and burners clean of grease, oils, and other contaminants that might catch fire. Stay in the kitchen when cooking. If you must leave the kitchen for any reason, turn off the stove. Check what you’re cooking regularly, remain in the home while food is cooking, and use a timer to remind you of how long the task will take. Make sure there is at least one oven mitt in the kitchen to prevent burns from pots and pans. If an oven catches fire, turn off the heat and keep the door. Leaving the door open could allow flames to burn you or catch your clothing on fire. The oven should be checked and/or serviced before being used again. It should be replaced if it can’t be fully fixed. Plug microwaves directly into an outlet. Using an extension cord can overload the circuit and cause a fire. If your microwave or something in it catches fire, turn it off and keep the door closed until the fire is completely out. Don’t use it again until it is serviced. If needed, replace it. Keep pot handles away from the stove’s edge and burners. Use the back burners whenever possible. Wear short, close-fitting or tightly rolled sleeves to avoid catching your clothes on fire. However, if they do catch fire just remember to stop, drop, and roll! To avoid burns from steam, open food that you’ve heated in the microwave slowly and away from your face. Always remember the “three-feet” rule. Keep children and pets at least three feet away from the cooking area (in all directions). This will prevent burns from spilled food or contact with the stove. When in doubt, just get out. For fires you’re not sure if you can handle, leave the house and call the fire department. Treat burns as soon as possible. Put it in cool water and continue to cool the burn for three to five minutes. When cooled, cover with a clean, dry cloth to prevent infection. For burns bigger than your fist or for any burn that you’re not sure you can care for, go to the emergency room. There are plenty of fire and burn risks in the kitchen. However, there are even more things that you can do to prevent those risks from becoming very real problems. When water damage occurs, it’s easy to assume that fixing everything will only require drying and cleaning the immediate damage. The fact of the matter is that water damage isn’t just about the water. In many instances, the water will result in mold. 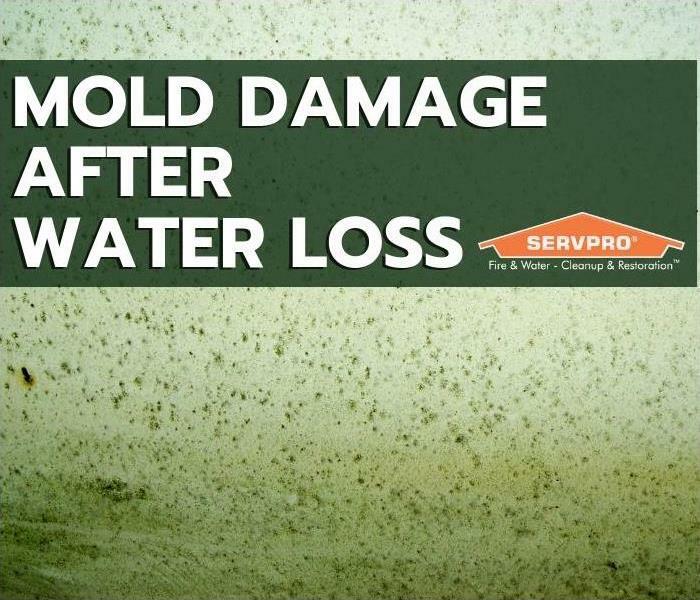 Many of the water loss jobs we are faced with here at SERVPRO® are coupled with mold jobs; and vise-versa. Much like any sources of water or moisture must be addressed before mold remediation can begin (to avoid returning mold) mold should always be checked for after water sources are dealt with; because mold might be in a spot where it’s difficult for an untrained eye to see and could eventually develop into a larger issue. While the issue of mold is usually handled by professionals, there are a few things you can remember about mold to help you when you are faced with possible mold in your home or in a business. Water damage that causes mold generally comes in the form of a leak, flood storm damage, etc. ; but higher than usual humidity constitutes as water damage and can increase your chances of mold as well. Much like humidity can have effects indoors or out, mold can be inside or outside of a structure and is not limited to either place. Mold requires moisture, and moisture can be both indoors and out. Speaking of limitations, mold is not limited to growing on objects or in walls. Microscopic mold particles can float through the air, making the air in your home or business unfit to breathe. The smell of mold travels through the air, too, and is generally musty and strong. This smell is one of the key methods for finding mold in spots where it may not be visible. SERVPRO® of Galesburg and Macomb has seen its fair share of mold jobs. These jobs have ranged from mold in crawl spaces to homes that have simply not been taken care of regularly, to leaky pipes in bathrooms or kitchens, and far more. Recently, a job was started at a residential property where exhaust from a water heater in an attic caused an excess of water to damage the ceiling in one of the bedrooms. The client was worried that the water build up might have caused mold, so she called us to get it checked out. She did the right thing knowing she would not be able to identify anything herself. Identifying if there is visible mold. Are the Walls and Ceilings Discolored? Identifying the smell of the mold. Could identify if there is hidden mold. Note how much mold is present. Identify and Remove the source of the moisture. Determine the course of action. If less than 25 Sq. Ft., follow the instructions in the booklet provided online by FEMA (link will be below). If over 25 Sq. fT., consult a professional contractor. If you find yourself in the position that you need to call a professional contractor, there are many businesses out there that you can call. Just remember that none of them will have the training and the empathy that you will find if you decide to go with SERVPRO®. Our teams have the skills to help you with your water, mold, and just about any other damage that could take place in your home or business. You can always contact SERVPRO® of Galesburg and Macomb for your cleaning and restoration needs. 309-342-0073.